This mod adds several new water color palletes tables to the game , that are generated using carefully controlled procedural generation.it does not include any more RNG based color generation. 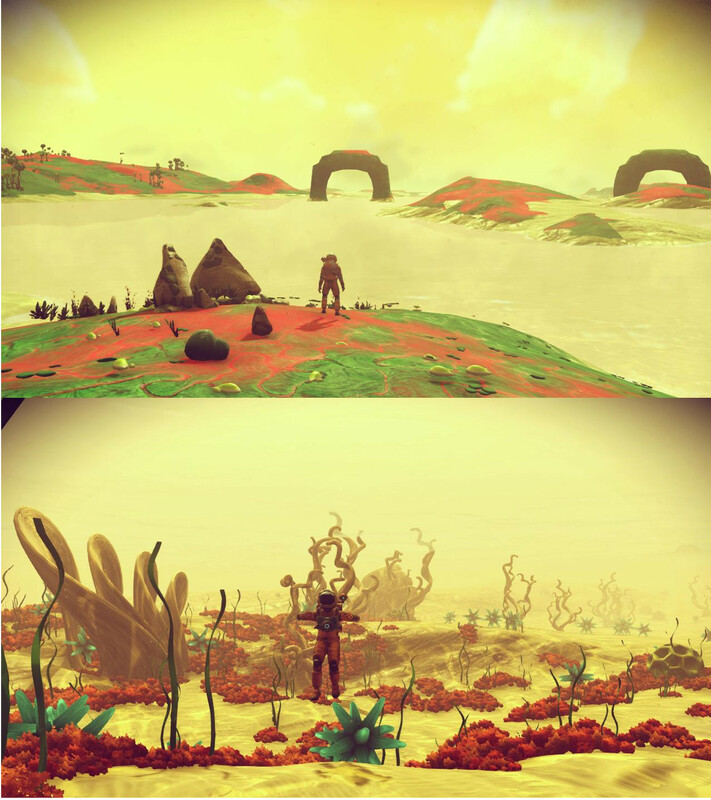 This mod is part of my Project Atlas Universe Generator for No Man’s Sky. To know what Project Atlas is , check this reddit post that contains details about it. tha vanilla game has only 4 shades of water, hence i made this mod to add 1000 new shades of water colors to the game to add diversity. MULTIPLAYER: This mod is multiplayer safe. if two players dont have the same mod, it wont affect your multiplayer experience. The game will function without any issues for all the players in the multiplayer session. There are 2 file options to choose from. 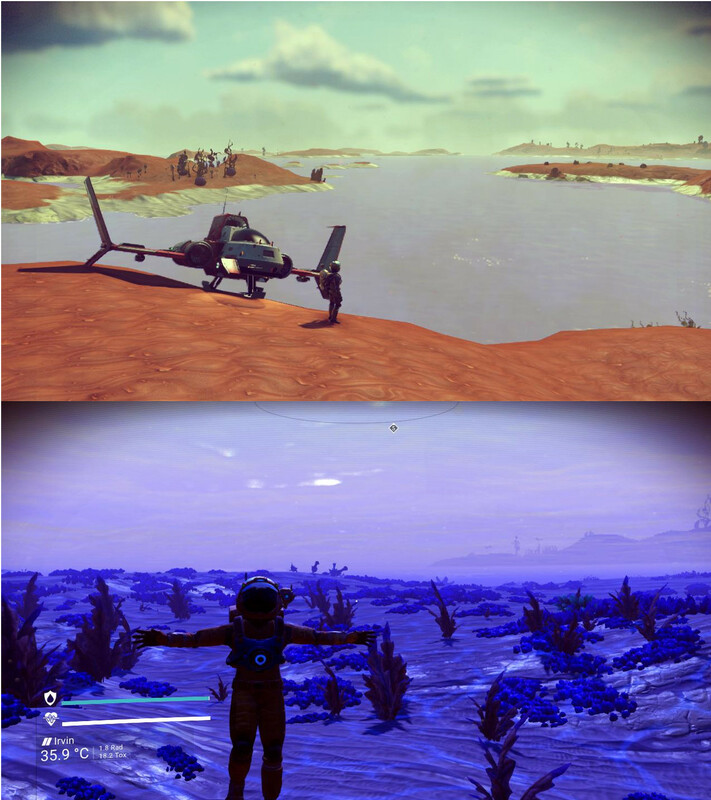 1)_GAMER_PROCEDURAL_WATER_COLORS_WEIRDER.pak – this mod adds a wider range of water colors, but has a certain chance of running into water colors that maybe be too bright or alienish. 2)_GAMER_PROCEDURAL_WATER_COLORS_NO_UGLY.pak – this mod adds procedural water colors that are always visually appealing and wont appear weird or too bright. 1) Select any one of the 2 files and download that file. 2) Extract downloaded file using latest version of 7zip or Winrar. 3) Place the mod pak file in the MODS folder of your NMS installation PCBANKS folder. make sure to delete DISABLEMODS.txt before playing game. 1)MONKEYMAN192 – FOR CONTINUED UPDATES TO MBIN COMPILER. 2)a few people who helped with few issues of the mod.